Brazil is a huge country, larger than Europe. The cultural mix is unbelievable, going from African to German influence. Each region has it’s traditions, that being with regards to food, drinks, dance or parties, and they can be very different from the other. However, there are things that every Brazilian consider as traditional of the country, and I am not talking only about football. Being a Brazilian myself, I thought it was time to share with you a little bit more about my country, and decided to make a list of 20 traditional things you must do in Brazil. 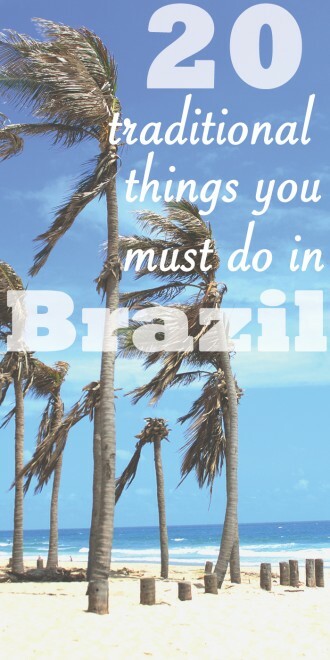 Some of the things on the list are pretty obvious for tourists, others not so much, but I can only say that after doing every item, you probably will understand the Brazilian culture and people better, and maybe even get the feeling of how is like to live in the country. Of course, the most popular Brazilian drink should be on the list, and you can’t miss it. 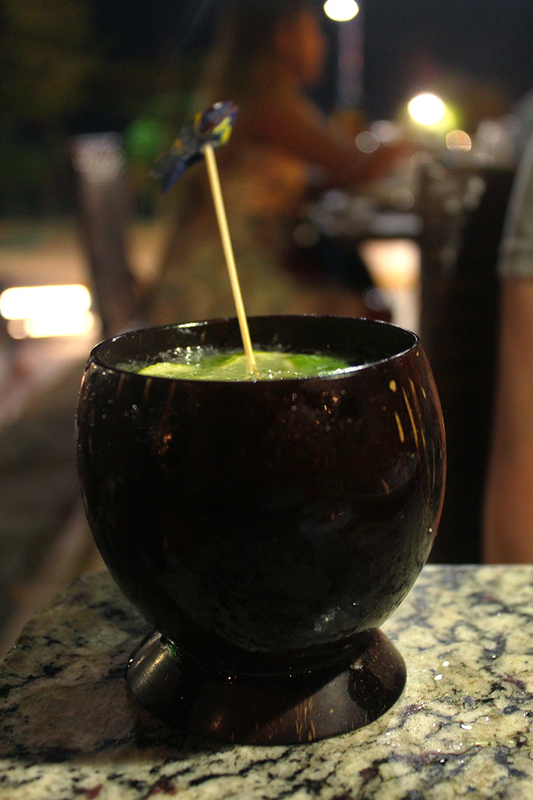 You will find caipirinha basically everywhere: restaurants, on the beach, at the bars, and at parties. Try in different places, and find your favourite. 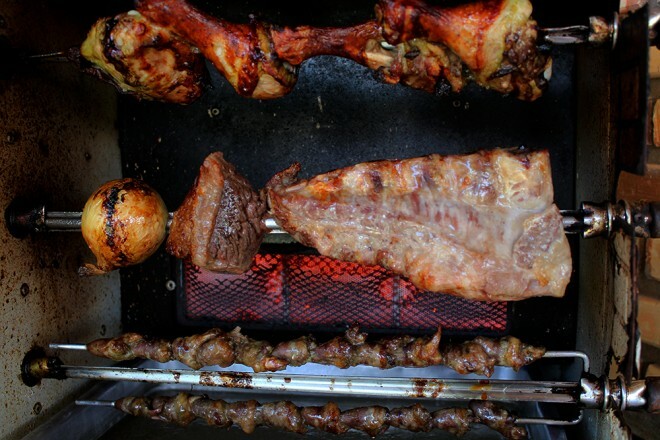 Churrasco is basically a barbecue, but like no other! The Brazilian barbecue means spending the day at someone’s house with your friends, listening to music, grilling meat, and most importantly: eating it with feijoada (Brazilian black beans) and farofa (toasted cassava flour mixture), some caipirinha and Brazilian beer. 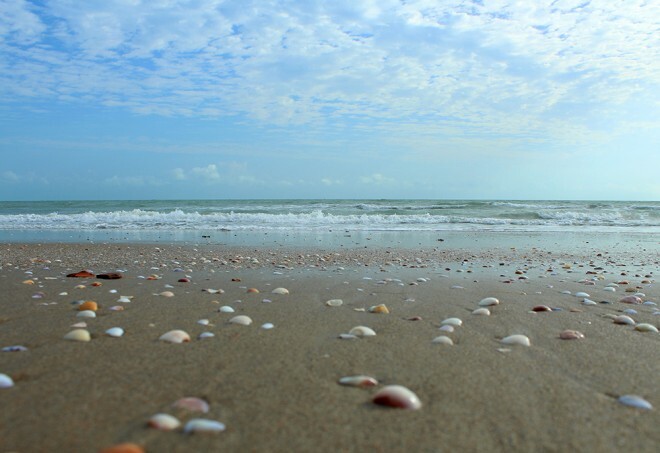 Find a beach as soon as possible and enjoy the sun lying down on a canga – a Brazilian beach towel, made out of thin fabric also used to dry yourself and as a satchel – on the sand. 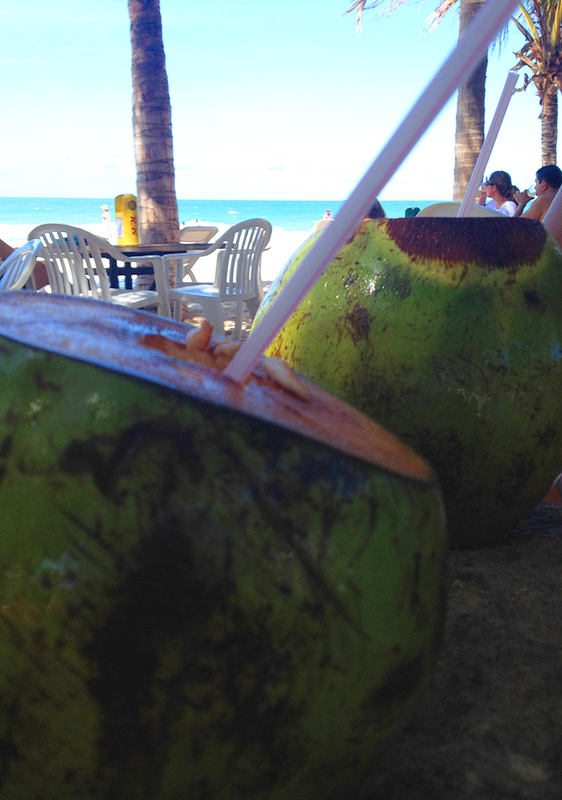 There is no coconut water like the Brazilian, trust me. Enjoy it by the beach, by the pool and freshen up with this sweet and cold water, which is even better if drank from the coconut with a straw. 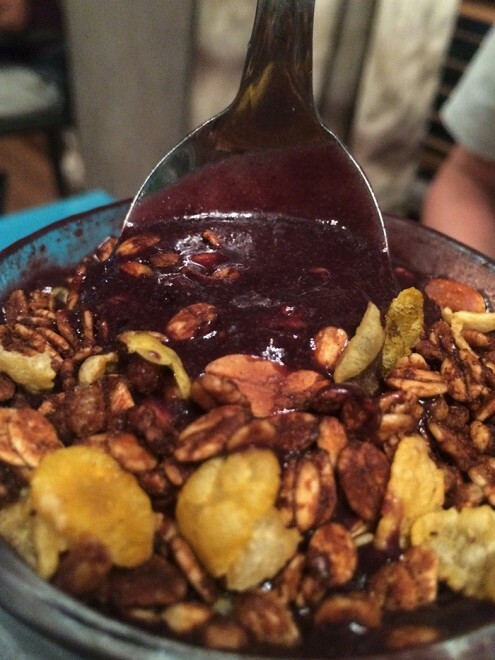 Açaí is a typical Brazilian berry, purple coloured, from the North of the country. It can be found almost everywhere in Brazil – I even found it here in Germany. It is full of energy, so be careful with the excess. It normally comes in a bowl with fruits like banana and strawberry and cereals, or in a big glass, in both cases you need to eat with a spoon. It is creamy and should be served cold – if it’s not cold something is wrong. 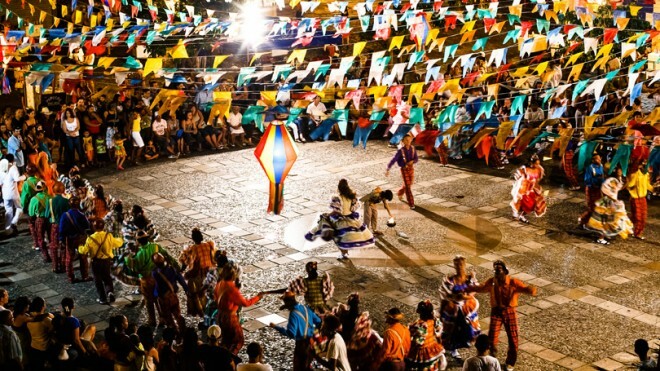 Festa Junina – June Party – as the name says, it happens in June in the entire country, especially in the Northeast region. It’s a typical festival that lasts the entire month, in which people eat traditional food like corn and other dishes made out of corn such as canjica, pamonha, corn cake, and much more. There are also some dance presentations – the quadrilhas – with people dressed up in traditional costumes, bands playing the typical songs of Forró, and even bonfire. This is one of the most delicious things you will ever try around the world. 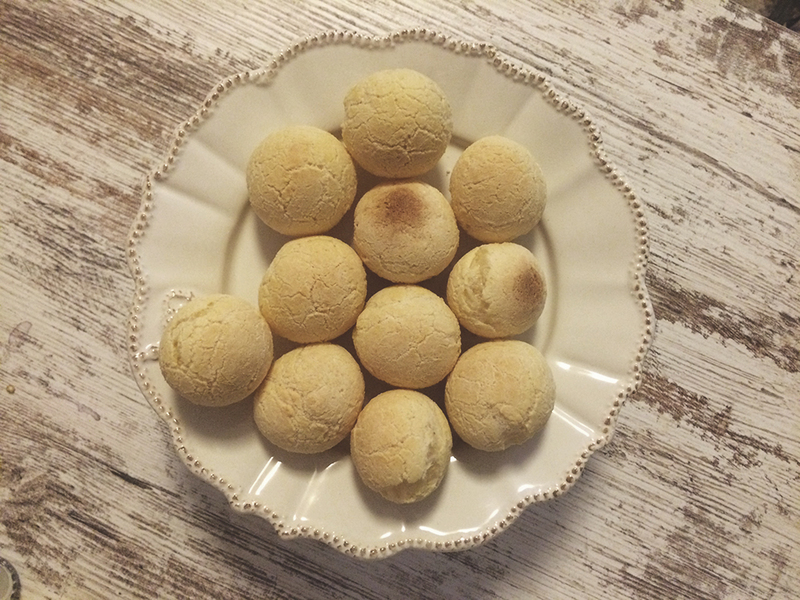 Pão de queijo is simply a ball shaped cheese bread, normally eaten when still warm, as it melts in your mouth. It is a snack eaten at breakfast or in the middle of the afternoon, mainly with coffee. 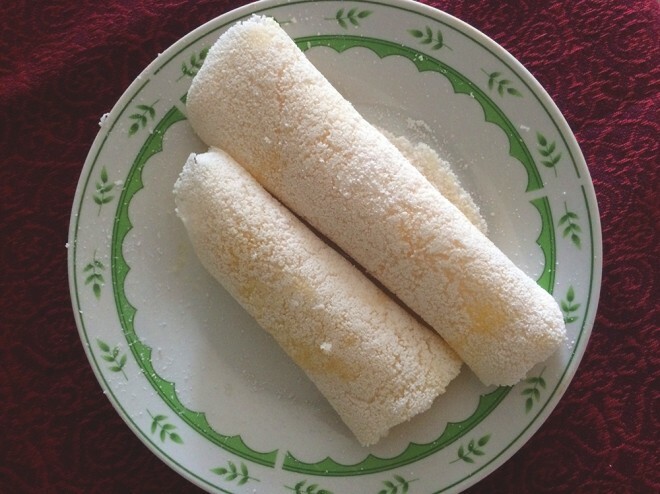 Tapioca is a very traditional food in Brazil, made with cassava flour, which is sticky. It is simply made on a pan in round form, and it is either eaten only with butter inside, or with other salty or sweet fillings, such as meat, cheese, ham, nutella, etc. Maracanã Stadium, Rio de Janeiro. Source. Football is no doubt the national passion, and there is always a game going on somewhere in the country. Even if you aren’t such a big fan of the sport, you must see how the Brazilians are like when they are watching their team play. Then, you will understand how big this passion is. Guaraná is a fruit from the Amazon, filled with energy, its drink was named after the fruit and it is very famous in Brazil. 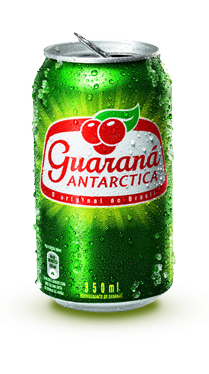 Guaraná can be found naturally made or in cans, just as you find Coke, in the supermarkets, restaurants, etc. The latter is sweeter than the natural one, and now it is being exported to other countries, I have seen them here in Germany very often. 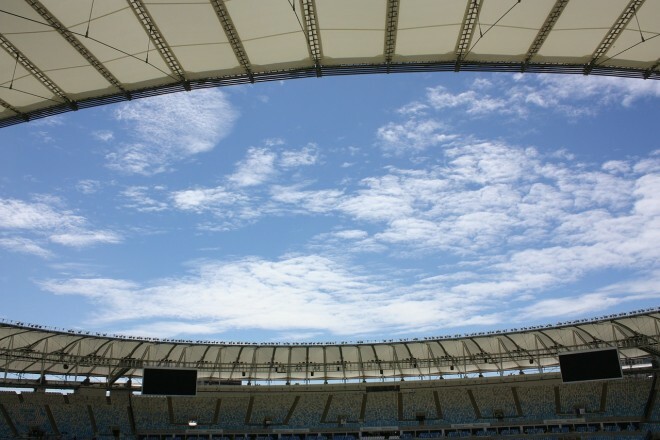 The biggest event in the country, and probably the first thing that comes into your mind when you think of Brazil. 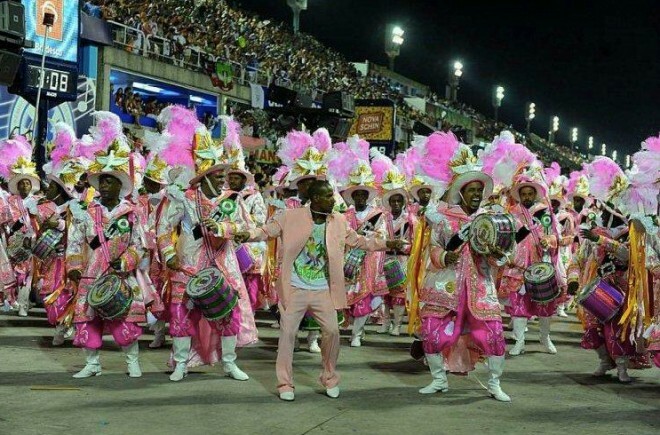 The Carnival is celebrated in different ways across the country, in Rio and São Paulo there are the samba schools presentations, and in Salvador and Olinda there are the most famous street Carnivals with Axé and Frevo. The annual event happens in February/March, 51 days before Easter. If you are not in Brazil for the Carnival, you can still get the feeling of it by watching a samba school rehearsal in Rio or São Paulo. They happen all year long every week and are mostly free, all you need to do is to contact the samba school you like. Here is a list for Rio and São Paulo. This is something very typical to do in São Paulo, but you don’t have to have both at the same time. Pastel is a salty pastry fried in oil, normally filled with for example cheese, meat, and other fillings; it is normally eaten as an afternoon snack. In São Paulo a pastel already asks for a sugar cane juice, which is something very Brazilian and you definitely must try, it is sweet, strong and delicious. 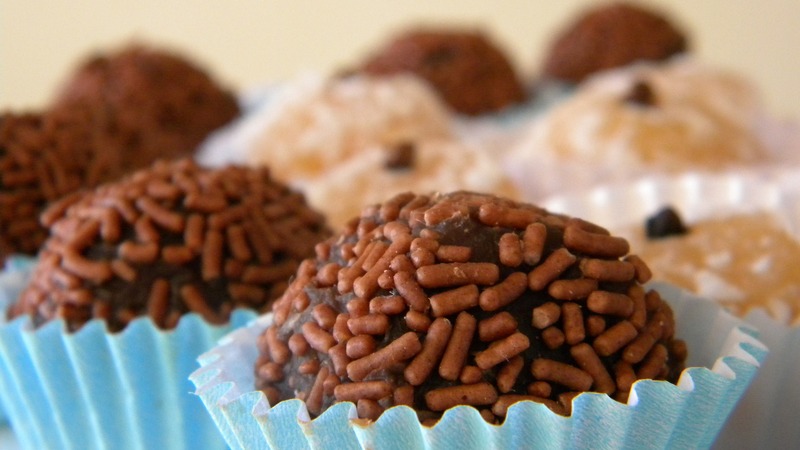 If you never heard of and never tried Brigadeiro in your life, you don’t know what you have been missing. Brigadeiro is a mixture of cocoa powder, lots of butter and sweet condensed milk (you can find my personal recipe at the end of the post… shhh it’s a family secret) cooked in low heat for half an hour or so. It can be eaten warm, but most typically they are served in mini balls toped with granulated chocolate. It is a sweet and thick chocolate mostly seen in birthday parties and weddings. 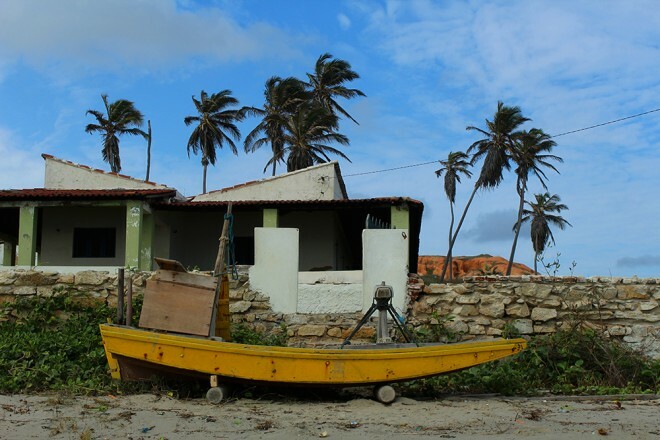 Fita means ribbon, and Bonfim is the saviour of Bahia – or Jesus Christ. 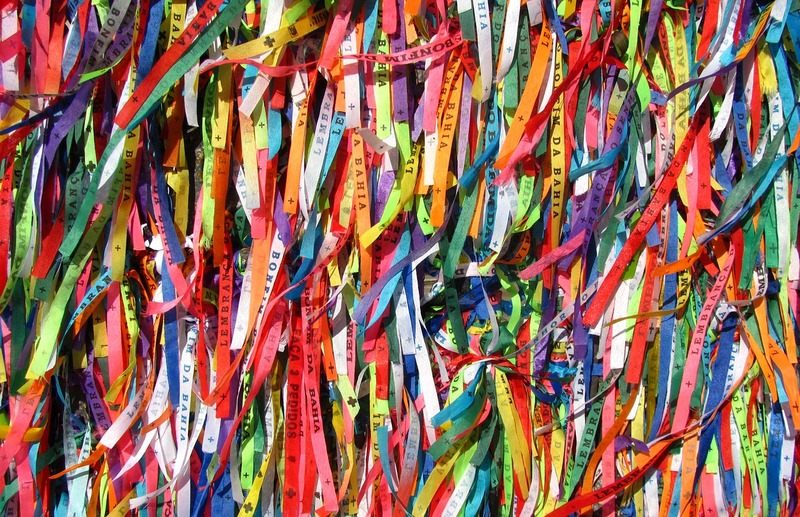 The tradition of this wish ribbon first appeared in Bahia, in 1809. It is 47cm long, the correspondent size of the right arm of Jesus Christ’s statue found at the church Senhor do Bonfim, in Salvador, Bahia. This ribbon is a lucky band used on the wrists or ankles, it is found in different colours with the message “Lembrança do Senhor do Bonfim da Bahia” or in remembrance of the saviour of Bahia. The tradition is to knot it 3 times, and for each time you should make a mental wish. It is said that once your band naturally breaks, your wishes will come true! Every Brazilian owns at least a pair of Havaianas. They are found in several colours and special editions, from cheap to very expensive, from simple to fancy ones. It is probably the best souvenir you can buy in Brazil. 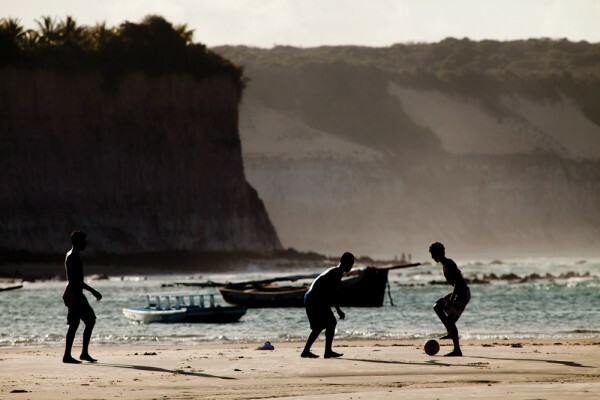 No need to be professional, but playing football on the beach is one of the most Brazilian things you will do, and it’s fun! You have probably lied on a hammock before, but what you don’t know is how much this is typical in Brazil. 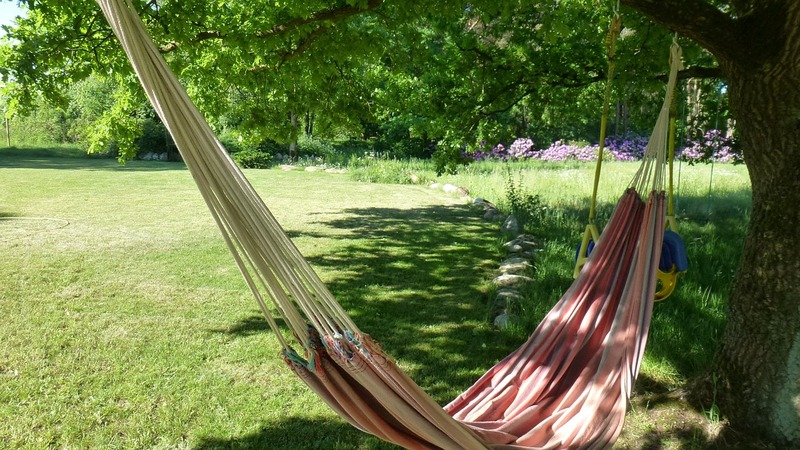 Especially in the Northeast and North region of the country, where having a hammock at home is a must, and it is one of the things I most miss from Brazil. This tradition came from the native aboriginals, who already inhabited the country before the colonisation period, and today it is something as normal as having a bed at home. 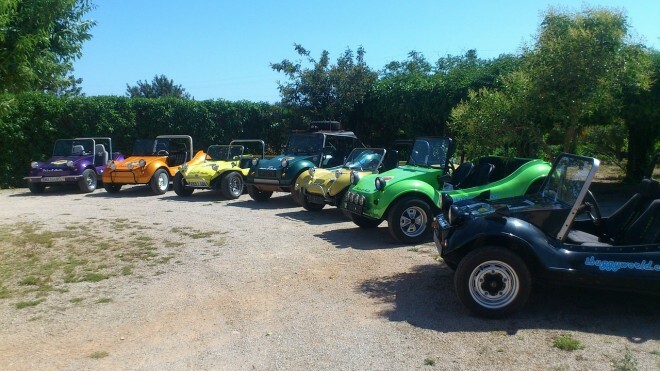 Beach buggy is very popular in the Northeast region of Brazil, where it is possible to find dunes by the beaches. You can either take a tour, or rent one. 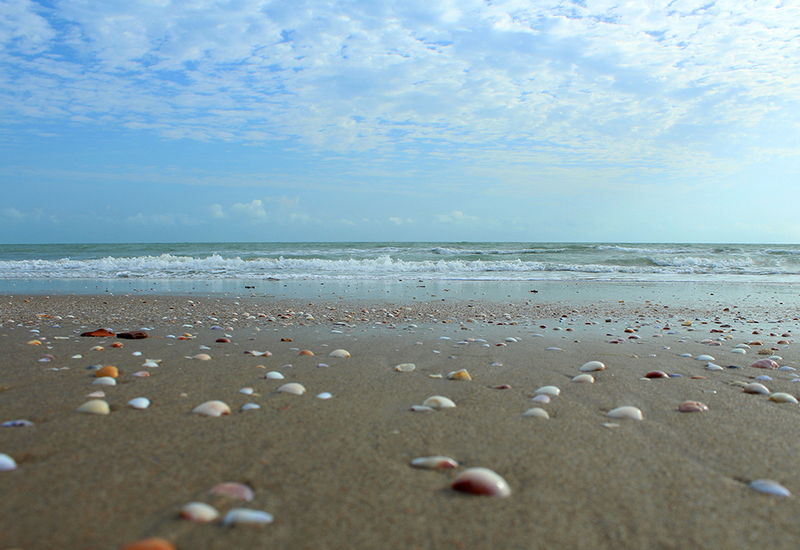 It is a very fun and traditional activity in the country’s beaches, and a nice way of exploring them. That being samba, pagode, axé, forró or funk – I know, so many weird names – go dance among the Brazilians and learn from the best! In a small sauce pan, in medium heat melt the butter, add the sweetened condensed milk and the chocolate powder. Mix with a wooden spoon, and don’t stop mixing until the mixture starts to thicken and come off the pan, which takes around 15 minutes or more. Then, it’s ready! My secret tip is: be patient and don’t stop mixing! If you want to make the mini balls, first you will need to let it cool completely. Then you will need to butter up your hands and grab a small portion of the chocolate and roll it in your hands, shaping it as a ball. Once the mini balls are ready, you can garnish with chocolate sprinkles. Servings: around 30 mini balls. hahahaahha you’re most welcome! I am very happy to know that you like it!! hahahahaha awnnnn how sweet Laura! Yes I like the sound of a churrasco! 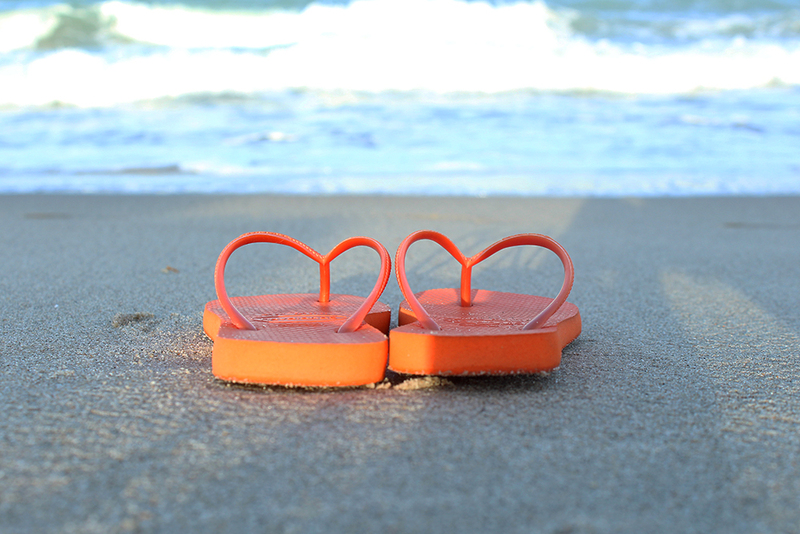 And I love Havaianas, the only shoes I wear all summer. hahaha same here!! Actually, I wear Havaianas every day… it’s my normal house shoes 😀 can’t take them off! I love that so many things on this list involve food and drink and that your first thing is a delicious caipirinha! I’d love to visit Brazil, especially for carnival. Great list, I’m pinning it for future reference. I haven’t been to Brazil but I’ve eaten in a Brazilian restaurant in London…and let’s say there was a lot of food involved!! We have a similar looking dessert to Brigadeiro in Greece and we call it “truffle”…have no idea what’s inside though! I’ve never owned Havaianas, but right now I own flip flos from a brand called Ipanema! Hmmmm that sounds awesome!! I hear there are some Brazilian restaurants in London!! Waw, great list! So cool there so many food and drinks in the list 🙂 When I was there I tried caipirinha, churrasco and bought hawaianas. I also ate something that looked like brigadeiro but they were white and topped with coco. Wow, I have just learned so much about Brazil, I have never been and knew very little about Brazil until your post. I love the idea of the Churrasco! It certainly puts our BBQs to shame, I would love to try that! I hope you can experience it in Brazil someday!! I love how many of your items are related to food 🙂 Don’t forget Maracuja, that was my favorite!! I have done all the ones related to food and drink. Does that says something about me? I have the luck of living close to a Brazilian community. Therefore, we can enjoy acai and Brazilian lunch plates often. 😀 I hope you Anca… there is a lot to see and do in Brazil! I hope you get the chance to try some of those dishes! How interesting that you got to live in South America for a while! So nice that you got to love hammocks too 😀 I hope you do get one soon to enjoy it there in South Africa 😀 Did you get to learn Portuguese? Yesss, so many delicious dishes in Brazil!! 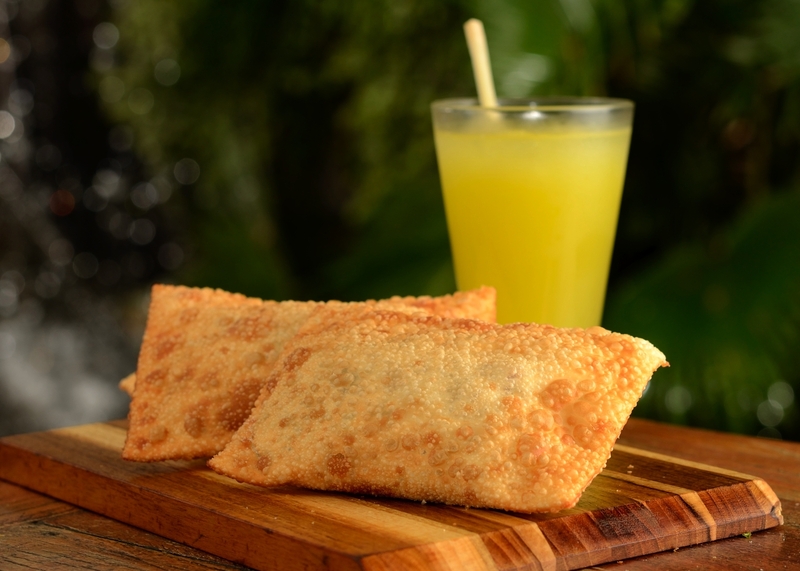 You have to go back and indulge yourself into some Brazilian food!! And I hope you try the recipe 😀 it’s delicious… specially in those days you are craving for chocolate!! Soo cool that you had a Brazilian flatmate!! haahahahah maybe that’s why Brazilians love to dance!! Sign me up for all of those – even though I’m not sure I would survive the insanity that is the carnival! hahahahaha 😀 I think you wouldn’t!! Yessss, delicious!! When you come to Munich I will bake you some pão de queijo!! How awesome Cathy! Did you spend your honeymoon in Brazil? How nice that your husband wants to learn Portuguese!! And yes, lucky you that in SA they speak English. Do you like living there? I always wanted to visit SA. Yesss that would definitely be awesome!! We can see when the both of us can go… I go to Brazil once a year (though I’m not sure about next year, because this year I will be there for the second time already). AMAZING!! Way to go, as a Brazilian I am ashamed to say that I have never been to Iguassu yet! Oh my! Thank you Gina!! I hope you get to visit Brazil someday 😀 there is a lot to see!! Brazilian food is amazing, I hope you get to try it someday! I think we have “spoken” on instagram right? Thank you for stopping by, I’m very glad that my tips are helping you out in Brazil. Shame that I still haven’t been to Porto Alegre to give you some tips! Sorry about that. Yes, there are lots of artwork to purchase. You can always find some by the beach. As for money, I’m afraid I have no idea :/ because it really depends on which cities you are going (Rio and São Paulo are more expensive), but so you have an idea, 40 – 50 Reais is the normal price you pay to eat in a restaurant (a normal one, per person). Transportation I think you will spend more with Taxi/Uber. I hope it helps! Let me know if you need any other tips!